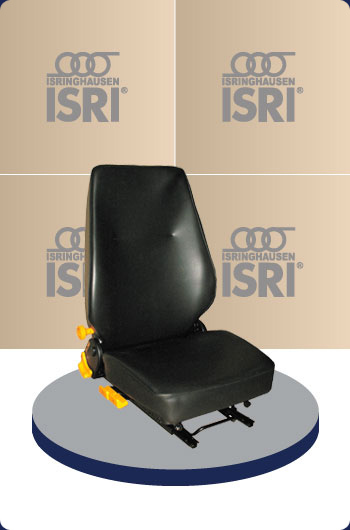 The 1000/575-577 Right Hand Control is a non suspension seat that serves as a companion seat and/or for industrial usage. Easy accessible right hand control provides for simple, convenient adjustment and operation. This seat features mechanical height and slope adjustment, which allows the operator to adjust the seat up, down and to various slopes permitting greater comfort. Upholstery is available in black vinyl or black cloth. For further information, please contact Darby Manufacturing Ltd.
*Safety Notice: Seat restraints, static or retractable lap belts are available. The nature and environment of product use dictates the employment of this device. Darby seating is a component part, therefore the purchaser of any seat must exercise this choice. Darby recommends the use of seat restraints whenever appropriate. Strict adherence to ALL safety procedures is recommended.